We support Casting the Net, a Diocesan initiative designed to help us grow as congregations strong in faith and attractive to people seeking answers to deep and spiritual questions. For more information, click the image. 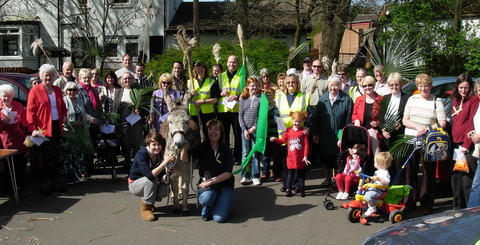 Together with the Methodist church, we explored ‘Casting the Net’ initiatives in a special Rosyth way. 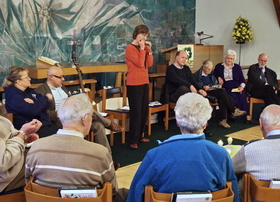 Early in 2011 we held a constructive Storytelling Day, when we identified areas of ministry and mission that could be developed, and decided to focus on reaching out and connecting with the wider community. Our outreach has developed slowly, but current examples include Wednesday Fellowship, Sunday@Six and Triangle Coffee Shop (see “What we do together” at this link). Both churches work ecumenically with the other churches in Rosyth and are striving to develop a higher profile in the community. We involve the wider community in our Sunday@Six worship, and join with the other churches in Rosyth in a Christmas Nativity event.